When Should Flu Patients Seek Medical Care? Many people believe that the flu isn’t a serious condition, but for people at high risk for flu complications, such as seniors, it can be. The Centers for Disease Control and Prevention (CDC) estimates that around 310,000 people in the United States are hospitalized during the 2015-2016 flu season. Flu can cause complications, like bronchitis, pneumonia, and ear infections. Worse, when a person already has a medical condition, flu can make symptoms worse, even leading to death. Knowing when an older adult who has the flu needs medical attention could make the difference between life and death. What Conditions Are Worsened by the Flu? Often it can be hard to tell if a person has the flu or a cold. Generally, the flu happens more suddenly and has more severe symptoms. The flu usually lasts one to two weeks. Unfortunately, there isn’t a lot that can be done to treat the flu once a person has it. If care is sought within 48 hours of the first sign of symptoms, some drugs can reduce symptoms. Of course, before giving an older adult any medications, it’s a good idea to talk to their doctor to make certain there won’t be any interactions with medicines they are already taking. 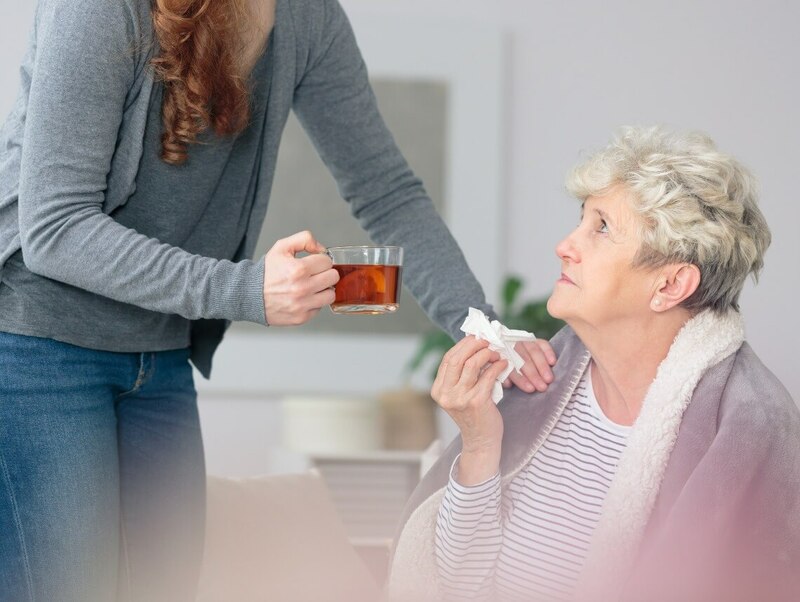 If your aging family member comes down with the flu, having an elder home care provider stay with them when you can’t be there can ensure they receive the care they need. Elder home care providers can allow the person to rest by taking care of things around the house that they aren’t up to. They can also remind the person when it is time to take medications. In addition, elder home care providers can bring drinks to the older adult to make certain they don’t become dehydrated.